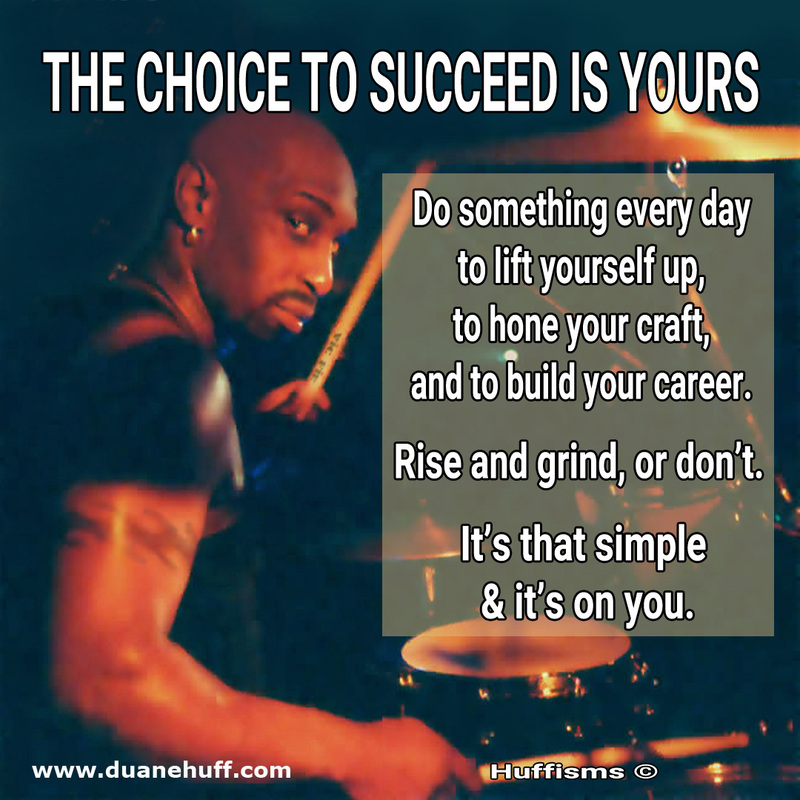 Do something every day to lift yourself up, to hone your craft, and to build your career. Rise and grind, or don't. It's that simple and it's on you. 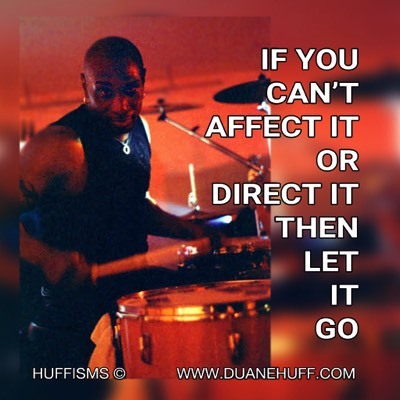 If you can’t affect it or direct it… let it go. Staying on top of your game in this industry takes energy and time (and talent). If you’re spending your time focused on what someone else is doing, trying to bend them to your will and way, then how much personal energy do you have left to work on “you”? Don’t waste your own time. Let it go. Just keep doing you. Is a “group” a collective 100% where each performer’s efforts carry a portion of that total? Or do you know it to be true that you get out what you put in. Your “part” or “role” in the overall performance might be 50%, or 30%, or anything else, but you still need to put in 100% of yourself. Less might be more everywhere else, but on stage, less IS less. 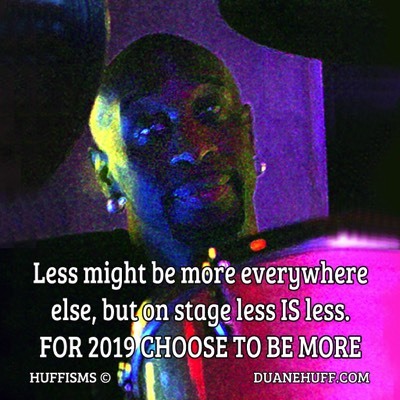 For 2019, you can choose to be more, you can be 100%. 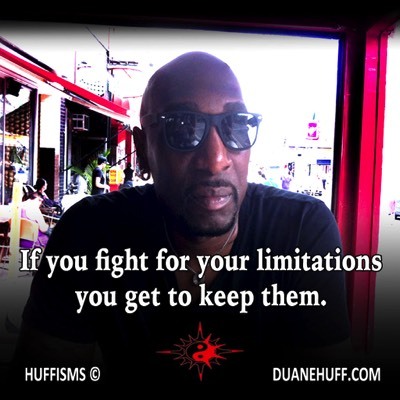 If you fight for your limitations, or argue for them you get to keep them. 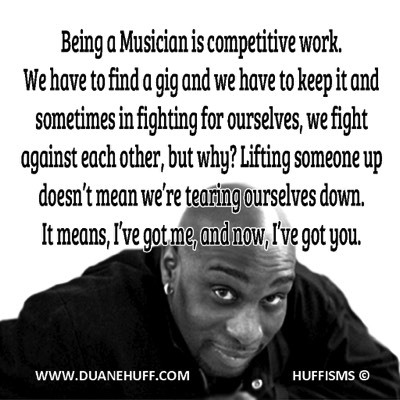 This quote isn’t usually used in music circles but it should be. When we come up against something new or hard or different it’s easier to fall back on… we don’t know it, can’t learn it, can’t do it. That’s fighting to stay small. There’s a New Year coming. Fight for yourself. Be Big. 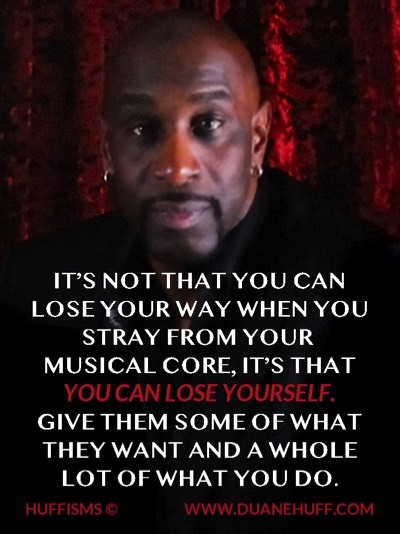 It's not that you can lose your way when you stray from your musical core, it's that you can lose yourself. Give them some of what they want and a whole lot of what you do. There is always a connection between action and outcome, be it right now or in the future. Choose your path wisely. Some artists will do anything to make it. Some say they want it, but don’t back it up with action, or, they allow others to keep them small. I say, do what you love. Don't let anyone stop you. I’m talking about practice. When I’m gigging somewhere outside Detroit, and it’s going to be a little bit, I take this practice set with me. It’s basic, it’s solid, no modern bells and whistles, and it travels real well. It does what I need it to do and over the years I've beat the crap out of it. It’s been around the world and back. Life is good, even when you’re practicing. The music business is competitive. It doesn’t matter how big or how good, there’s always someone who thinks they’re as good or better than you. They want your gig. You might think you don’t have to protect what you’ve worked for but you do. How? Make sure everyone knows that it’s your spot on the stage and you’re there to stay. Bring It Every Time. STAY HUNGRY and work harder than everyone else. Do it every time. Success comes with consistency and dedication. You can dream it, wish it, want it, but making anything really happen requires action. It can be little steps or it can be big steps, but the key here is to actually take a step. What ARE you waiting for?. This is one of my favorite images because even though it’s called Alter Ego, it also illustrates the need to choose a path of action. It’s not as simple as good vs evil: it’s about how we live, what we do… even how we do what we do. Staying on the good path is a choice you have the freedom to make. It’s that simple. The music business can find a million ways to tell you you’re not going to make it. When it does, your choice is to lower your goals or keep reaching. I say the only choice is to keep reaching. Truth in performance comes from within. Find yourself and find a way to do you. This “tension” is especially true in the performing world. Different people – different tension but the pearl at the end is what we’re all striving for. You wake up and the game’s changed overnight. What would you do? That’s what happened at the Russell Industrial Center last week and Musicians, craftsmen, artists… everyone: Evicted. Stop work orders pinned to each door. Mine too. When we work for ourselves we need to be as properly prepared as possible for situations like this so we don’t get knocked down to the point we can’t get back up. Hope there isn’t a next time but if there is… are you ready? As Musicians, we’re real good at listening to the beat. But when it comes to listening to our own bodies, when our soul is talking to us, telling us something needs attention, we unplug. Playing healthy means staying healthy. This year, do a better job of looking after you. My view New Year’s Eve. Playing 2016 out and 2017 in. Having fun & loving what I do. When the struggle is within, don’t fear what your Alter Ego offers you, use it and control it. Big Choices = Big Results. Trust yourself and decide. Taking this shot on The Great Wall of China, looking at the steps, climbing them and not ever seeing the end showed me that a journey is the sum of its parts. To get there you just have to keep going. Your key to success is to be better than the rest. The hardest thing about getting to the top is getting through the crowd at the bottom. It doesn’t mean they’re not good enough; it means that no matter what you choose to do, your key to success is to be better than the rest. A creative life takes courage. You have to be fearless, focused, and motivated. When you choose this performing path then everything you get and have depends on you being you. 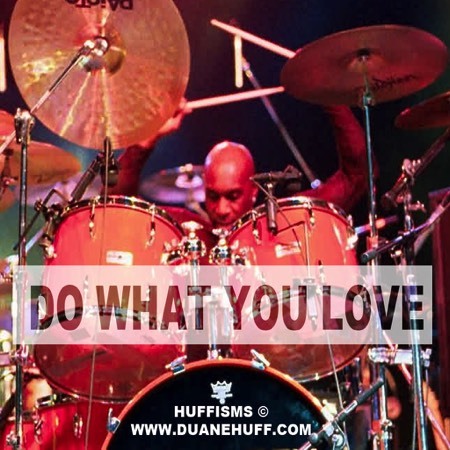 First, decide what matters to you most – safety or stardom, frustration or fulfillment… then the rest is up to you. When we embrace discipline in our lives and careers it means we do the work, we make the hard choices, and we don’t give up the dream. Regret is looking back and wishing that we’d found discipline when discipline was looking for us. Your talent is unique to you earned with hard work, ambition, and dedication and even though you can't please everyone all the time, your worth doesn't fall if someone else can't see the value in you or the value of what you do. Don't let anyone drag you down. Listen to and learn from those that do. Let them lead you to excellence. I've added some words to this quote by Maya Angelou: "I've learned that people will forget what you said (in an interview), people will forget what you did (on stage and off), but people will never forget how you made them feel." Every time you perform you have the power to make a difference -- use the power the right way. To obtain the spotlight you have to put in the work. When you find the light. stand in it and claim it as yours. Above all else, believe in yourself. When was the last time you heard about someone with a "real job" going out to get a gig so they could make the house note? Under charging repeatedly will eventually give you the same result as pricing yourself out of the market -- not enough money to survive. Something to think about when you're trying to figure out what your time and talent is worth. Sometimes a gig requires you to play the same song the same way every time. It's a skill on its own, but what does it do for you and your growth as an entertainer? You need to make the effort to Flex Your Musical Muscle: listen, learn, and try new things with your instrument (including your voice). 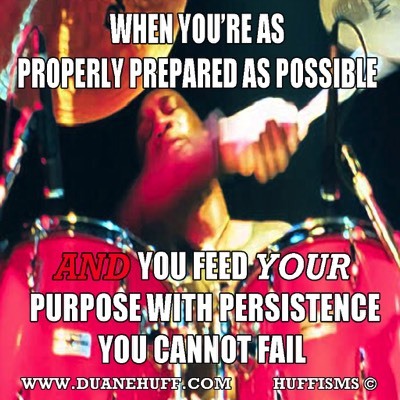 Challenging yourself off stage will help you become a better performer on stage. How To Avoid The 5 Biggest "Last Wishes"
1) I wish I hadn"t worked so hard. They say that when you find something you like doing, that work becomes play. You've already got this one and you get to do it every time you get in front of an audience. 2) I wish I had stayed connected with people. Those persons that helped you create, inspired you, and supported you will always do that for you. Keep connections open and be open to new ones. 3) I wish I had let myself be happier. Love the life you made for yourself. Be a rock star if it makes you happy and measure it against any scale you want to. 4) I wish I had the courage to express my true self. Maybe you want to dress like Jimi Hendrix and sing like Pavarotti -- what's stopping you? Is it Number 5? 5) I wish I had lived my life true to my dreams instead of what others expected of me. Today, the link between stardom and obscurity is the passion and drive to get noticed. Those that make it are bringing everything they've got to the world stage and when they do, their authenticity demands attention. Live your dream because you can. THE GREAT WALL OF CHINA -- 2000 years old, 5500+ miles long, too many bricks to count -- still standing strong. Build your career with solid bricks of talent, passion, and faith. 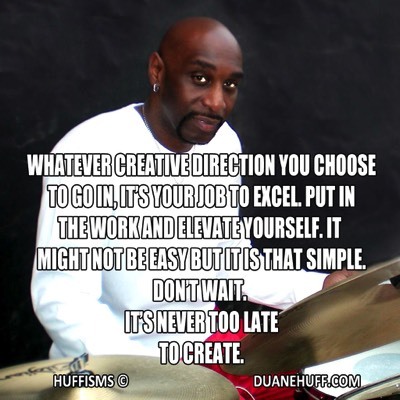 Doing this gives you the foundation u need to be one of the bricks in the great wall of music. In this ever-evolving music industry you need to be open to innovation and education. Knowledge is power and to survive and thrive in this business we're in you need to know what's going on. See the change, be the change, be one of the leaders. 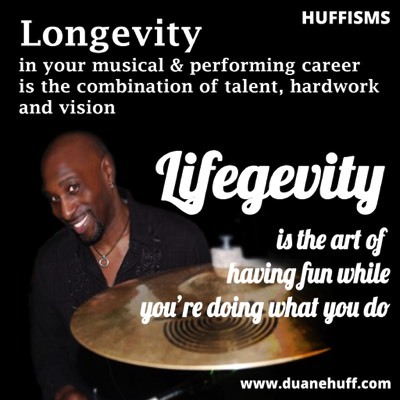 Longevity in your musical career is the combination of skill, hard work, and vision. Lifegevity is the art of having fun while you're doing what you do. Don't aim for one without the other.